Just another modularity that doesn't quite work for some chars. Thanks & Enjoy! Info: Created on 31st January 2013 . Last edited on 10th June 2013. @elmoyenique: Wow, thanks for the info, it seems I didn't even know what I've created, again :). Oh, I actually have one of those, elmo! Congratulations! FontStruct Staff have deemed your FontStruction worthy of special mention. “Diagona” is now a Top Pick. Thanks, meek! Still need to find more suitable 8. @four: I've chnaged H to its original form. @muhammadfj: Wow, it's me who should be thanking! Great sample! Thank you! 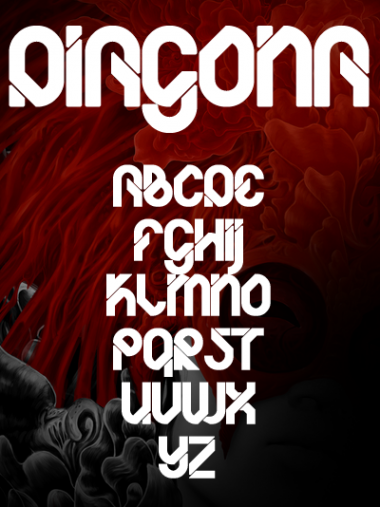 Wonderful and original fonts,a very nice work ! 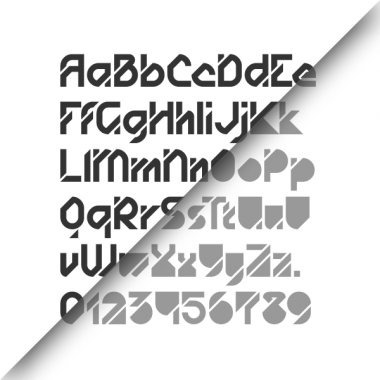 Now available from Behance, MyFonts, Hellofont.